Asian Lover Girl Friend Give Christmas Gift At Xmas Party,Asia Girl Friends Wear Santa Hat Exchange Red Gift Box With Smiling Face,gift Giving,Lovely Lesbian Couple. Lizenzfreie Fotos, Bilder Und Stock Fotografie. Image 113445138. 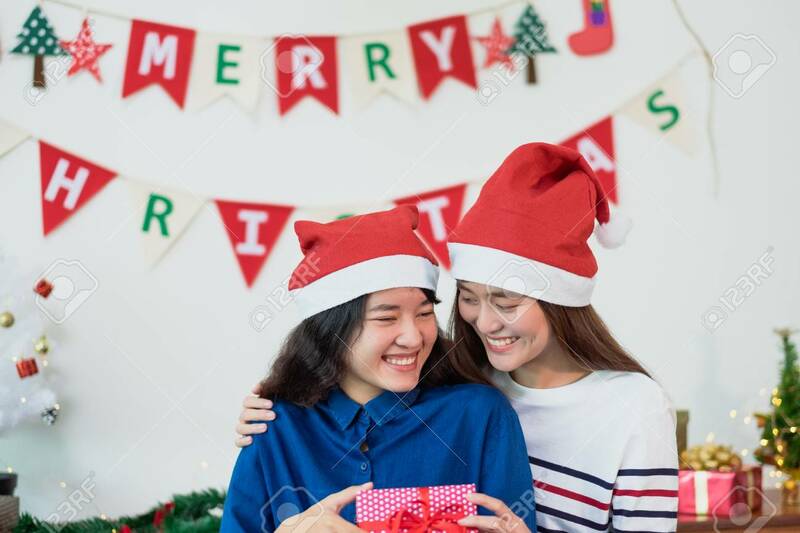 Standard-Bild - Asian lover Girl friend give Christmas gift at xmas party,Asia girl friends wear santa hat exchange red gift box with smiling face,gift giving,Lovely lesbian couple. Asian lover Girl friend give Christmas gift at xmas party,Asia girl friends wear santa hat exchange red gift box with smiling face,gift giving,Lovely lesbian couple.